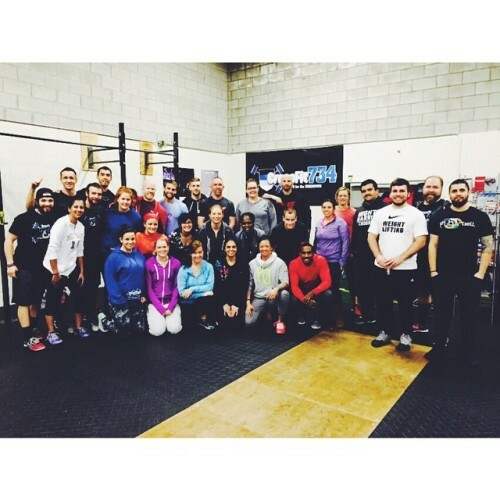 Seminar today at CrossFit734 (@abrewercf734) is a wrap! What a great crew today with many different communities coming together to explore weightlifting with me. We had some really good lifting happening today, and I want to thank everyone that took the time to come out and learn. This wraps up last seminar for the 2014 year. Thank you all for your continued support and enthusiasm! The 2015 schedule will be out shortly. I continue to look forward to meeting as many of you as possible. You all are the best!